​Do you hate having to constantly monitor your spa's water quality? Tired of constantly testing the water for chlorine or bromine levels. Fed up with the battle of keeping your hot tub water pH level balanced and pouring in de-foamers to keep the froth down. Frankly, after a short while of all this hot tub chemical regimen really takes the fun out of hot tub ownership. On top of that doesn't the idea of soaking in water treated with an overwhelming amount of TOXIC hot tub chemicals make your skin crawl? Do you ​have chemically sensitive skin and/or are health conscious and looking for a working alternative to chlorine in your hot tub? Most spas are treated with harsh toxic chemicals. Chlorine and bromine are toxic chemicals. The trick to using these hot tub chemicals in your spa is to make sure that the level of toxicity is in a specific range that is just enough to ​burn off contaminants and not too high to poison you. Maintaining this range requires constant monitoring. So, how many test strips do you go through each day? And what happens if you let the toxicity level drop too low? That's right murky contaminated water. Time to drain and start all over again. Are you having to add a de-foamer to your hot tub to keep the "bubbles" down. Or perhaps you don't use the high speed on your pumps for the same reason. ​De-foamer ​causes build up on your spa equipment, reducing efficiency, increasing energy cost and decreasing the life of your expensive spa equipment. Do you constantly shock your water with yet another toxic hot tub chemical to keep the water clear and the chemical smell at bay? Yes, traditional methods for spa water treatment require high levels of chlorine ​which result in that chlorine ​toxic smell. Traditionally, another ​chlorine based shock (dichlor) is added to the water to reduce the smell and clear the water of small particles that don't get caught in your filter. If you don't keep up with the monitoring and chemical additions your spa water will quickly go bad. Now you have no alternative to draining the spa and start​ all over again. How many times have you had to drain your spa in the last year? After a while the toxic chemicals and hard water deposits will build up on your spa equipment. Jets will stop rotating, heating will be less efficient and pumps will have to work harder. Now you have to add another chemical (de-scaler) to the water on a regular basis. prior to buying your spa you might have had second thoughts. Suppose you could use a simple inexpensive natural hot tub product and avoid all of these problems while saving money all year long. Adding one bottle of natural hot tub treatment to your spa every two months (or 40 bathing uses) keeps your hot tub water clear. Natural Spa will not create chemical build up in your hot tubs plumbing. It won't cause corrosion, rust or chemical deposits. And it will make your hot tub filter and cover last much longer. Most importantly, Natural Spa is non-toxic and comfortable to you and your family as you use your hot tub. N﻿o ﻿more chlorine burning your eyes and sinuses. No more dry itchy skin caused by the toxic chemicals you are using now in your spa. ​No more chlorine caused hot tub rash that's keeping you out of your hot tub. No more faded bathing suits. No more smelly chlorine or bromine odor. No more poisonous chemicals lurking around your spa risking the health of your children and pets. Best of all, this chemical free hot tub water treatment won't cost you a fortune to purchase​ and won't require a doctorate in chemistry to maintain your ​hot tub. One bottle every two months or 40 bathing uses (whichever comes first) eliminates the need for pH balance up and pH balance down, de-foamers​ and clarifiers. Plus your expensive filter, cover and hot tub equipment will last much longer. These can easily add up to a couple hundred dollars every year. Well, it isn’t and if you can get past the hype and pressure of the retail spa store selling you all of these spa chemicals every month you can absolutely save money and get better and healthier results. Think about it. Your hot tub is supposed to help you relax and enjoy time with your family and friends. However, most of the time your interaction with your spa is more of a science project. This simple natural chemical free hot tub water treatment product will enable you to forget the science and enjoy your spa again. More often than not, it is the simple things that solve the majority of problems in our lives. Our natural spa natural hot tub treatment is exactly one of those simple solutions. Worse yet, they will try to convince you that you need to spend and average of $200 to $500 annually for their toxic spa chemicals to solve it. In fact, their solution is so complex that many spa owners will contract hot tub chemical maintenance to a service person to avoid the hassle. Later, due to chemical build up you will need to hire a service technician to replace your spas various plumbing equipment, cover and filter as they wear out prematurely. The competition's toxic spa chemical brew is not simple. Their toxic chemicals are not easy to use and maintain. And, yes, like all spas, your hot tub will require equipment maintenance eventually. However, with the toxic spa chemicals it will be sooner rather than later. At last! Exactly what you need to easily treat your spa water and enjoy your time in the tub again. What Do Our Customer Say! ​Just wanted to say thank you. Usually when something is too good to be true..it is....but your product is amazing. I've owned spas for many years and, like others, was tired of all the chemistry fuss​. My new spa is indoors and within one month issues arose with water when using chlorine​. Due to sub zero temperatures draining it wasn't practical so I tried your product. One bottle of Natural Spa with the non-chlorine sh​ock ​and like magic....within two days.... crystal clear, and it has been since. Thank you. 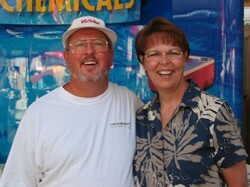 Hi Carl, We can't say enough good things about Clarity's spa/hot tub products. We were skeptical. Things that sound too good to be true usually are. But everything you say about these products is TRUE. My husband and I both have skin conditions. We had reactions to everything we tried in our hot tub. We have tried chlorine based products, bromides, you name it- anything we could try to stop the itching and chemical burns. We thought we might have to give up the hot tub! We finally tried Natural Spa products and we are able to enjoy our hot tub again! No burns. No itching. It’s wonderful. And the maintenance is so much easier and less time consuming than the procedures we were following before. We highly recommend Natural Spa products to anyone with a hot tub! Thank you so much, we are customers for life! Carl, I've been meaning to contact you to let you know how happy we are with the Mineral Spa treatment. It performs as promised (a great thing in my opinion). We love the fact that we are no longer soaking in chlorine. It's great knowing knowing that the little ones can safely enjoy a soak, too. I have been using Natural Spa for a number of years, and love it! I used to struggle getting the chemicals in balance, and hated the feel & idea of toxins on my skin. I use my spa daily. My spa chemical maintenance is down to dumping a Natural Spa bottle in once a month. No toxic chemicals, no testing of the water, no combination of materials - the ultimate simplicity. There is another big benefit - I don't need to replace the water frequently, which saves time, water & the cost of reheating hundreds of gallons of water. I am very health-conscious, and am happy to use an enzyme-based material that breaks down the bad stuff instead of pouring in toxins. Thankyou for such a good product! Hi Cal, "Besides the fact that we no longer have to mess with chlorine & muriatic acid and never getting that "balance" just right. My tan doesn’t fade!! We love it!" "We love your product! We no longer have to worry about taking our 11 month old son in the Jacuzzi. No more chlorine film on your skin. Thank you!" Cal, "It works! I don’t believe in magic bullets but it works." Hint: Complete kit is a better deal. ​Natural Hot Tub Mineral Water Treatment for 6 to 12 months. Use as primary treatment or with Natural Spa. Perfect for small hot tubs 300 gallons and under. More time in your hot tub enjoying friends and family rather than spending hours each month messing around with dangerous chemicals. Clean fresh hot tub water that doesn't emit toxic chemical odors that burn your eyes and sinuses. Never needing to test for chlorine or bromine levels, total alkalinity and pH levels. No more trying to match test strip colors to charts. No more irritated eyes and skin because you weren't able to get the chlorine/bromine and pH balance just right. No more constant shocking of your water with chlorine shock. Hot tub parts, such as jets, pumps and blowers remain clear of hard chemical deposits. Jets rotate unhindered without the use of yet another chemical to remove chemical residue from your hot tub. 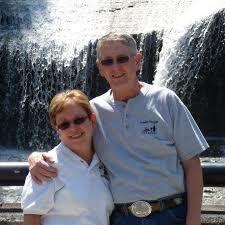 No need to hire a professional service person to manage your water quality because now it is a very simple job. Extend the life of your hot tub cover and hot tub equipment because you are no longer using corrosive chemicals that build up in your system and cause expensive problems. Well, realize that based on the benefits received by our customers, the Natural Spa hot tub water treatment products could easily sell for a couple hundred dollars. In fact, our competition’s chemical products and other Natures Hot Tub Treatments cost the average spa owner about $360 per year not taking into account service calls, less than efficient heating due to chemical build up and routine professional maintenance contractors. The Natural Spa hot tub water treatment has the same result as our expensive competition’s hot tub chemicals, clean clear spa water (In fact, Natural Spa does this much better and it isn't toxic to your heath). So, for comparison purposes, at bare bones minimum you’re getting $360 worth of spa treatment in the Natural Spa product.. In fact, one bottle of Natural Spa, a 2 month water treatment, is only $24.95. Larger quantity orders will save you even more money and you'll get free shipping. Our competition's chemicals are costing you approximately $30 per month right now not to mention the damage it is causing you and your spa. Well, it’s really quite simple. Our product is simple. It’s practically sells itself once you see how it works. We don’t need to hire high pressure sales people. Our Natural Spa hot tub water treatment product doesn’t require us to hire an army of hot tub service technicians to manage. You can easily do it yourself. On top of that, our customers endorse our natural product through word of mouth rather than paid celebrity television advertisements. We pass these savings on to you by keeping the price affordable to anyone. The fact is we weren't looking for a green product, or even a non-toxic chemical free hot tub product at the time. We were just looking for something that made our job in commercial water treatment easier. Commercial water treatment normally requires a host of chemicals, some good and some bad. The toxicity of many of these chemicals also requires special handling, education, training, testing and analysis. So we began our quest to develop a product that would make it much easier and safer to treat industrial water. What we found was truly amazing – It turned out to be a non-toxic product, friendly to the environment and people that was free of regulatory compliance issues. When added to warm flowing water in a re-circulating system it kept water clean, clear and the whole system free from chemical scale and corrosion. To us the product was the perfect solution, but the industrial water treatment industry turned out to be the wrong market for us. 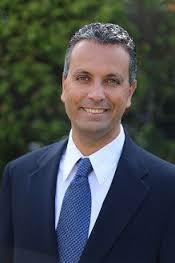 Industrial water treatment technicians were trained to use extremely hard toxic chemicals because they worked quickly. After all people aren't going to be soaking in industrial cooling water. Then it dawned on me. (Guess where I was? That's right sitting in my toxic chemically treated hot tub.) Perhaps this product would work well in my hot tub. After all, it is a warm re-circulating water system and the products non-toxicity meant it wouldn't cause chemical skin irritation. 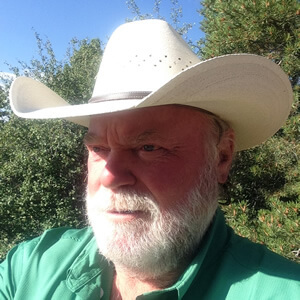 After experimenting with my own hot tub I found that the product stabilized the pH, made the water feel softer and kept it clean and clear for much longer than my toxic chemical regime. And that was how I discovered the perfect market for the product and the birth of Natural Spa. Hey, I told you it was simple! It’s always the simple solutions that work the best. So why is Natural Spa's natural hot tub water treatment better than using traditional toxic hot tub chemical treatment solutions? Well...That’s simple too. You don't need a chemistry degree to use it. Our engineers did the hard work for you so all you have to do is pour in one bottle of Natural Spa about every two months and enjoy your spa. Natural Spa is Natural and Safe for You and the Environment. Natural Spa is the original, all natural enzyme hot tub solution that is not poisonous to you or the environment. It is non-toxic. Our product not only works better, it costs 60% less annually than the chlorine, bromine or baqua spa treatment regimes. Additionally, over the long run Natural Spa won't prematurely corrode your hot tub equipment or pose a health risk to you and your family. 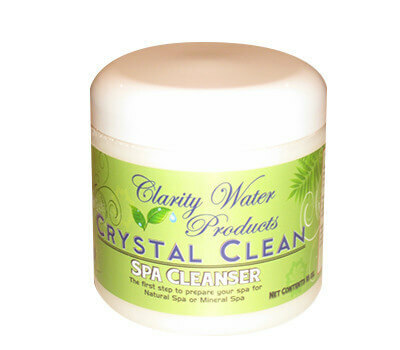 Clarity Water guarantees that Natural Spa or Mineral Spa will keep your spa clean when used as directed. If you honestly believe Natural Spa or Mineral Spa hasn’t delivered on this promise with the first bottle, send back the rest and we will issue you a prompt and courteous refund. That means you can try out Natural Spa or Mineral Spa at our risk, while you watch it work. If it doesn’t work as claimed, we honestly want you to ask for your money back. There is absolutely no risk, whatsoever on your part. The burden to deliver is entirely on us. If you feel your spa experience was more enjoyable using chemicals rather than Natural Spa or Mineral Spa then we’re the losers, not you. Treat it for Up to 6 Months. Natural Spa is not for use in pools, ponds, wooden hot tubs or uncovered hot tubs. 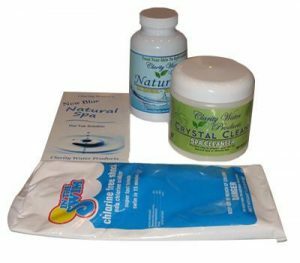 A 1lb bag of Non-Chlorine shock is provided free of charge with Natural Spa Start-Up Kits. We do recommend that you purchase additional bags of non-chlorine shock at the same time to save on shipping charges rather than ordering more later. NOTE: Natural Spa is estimated to treat average use hot tubs for up to two months or 40 bathing uses per bottle, whichever comes first. Length of treatment depends how the hot tub is used and organic materials introduced to the hot tub. ​*Orders $98+ will be shipped to US addresses free of charge via USPS. P.S. Just Think! You won’t have to suffer through smelly burning toxic hot tub chemicals or the knowledge that you and your family are at risk every time you use your hot tub. P.S.S Still reading? 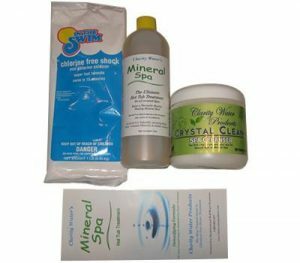 You might be thinking that Natural Spa and Mineral Spa couldn’t possibly work because the cost is hundreds less than our competition’s hot tub chemical products over a year. Ok. That is a reasonable thought. For you we suggest you try Natural Spa before you spend a dime on our competition. If you're not happy after using one bottle of Natural Spa and you still want to go with traditional hot tub chemicals just send back the remaining bottles in your order and we will refund your money. Ask the our competition if they will do that. 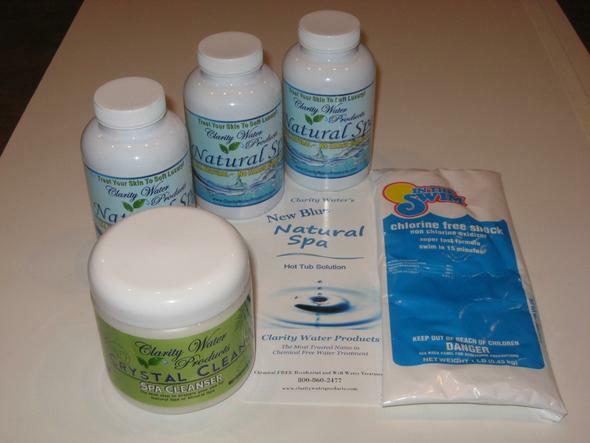 * Legal Note: Clarity's Natural Spa is not a sanitizer, biocide, or pesticide as defined by the EPA. The EPA will only register a product as a sanitizer, biocide or pesticide if it contains an "active ingredient" that is instantly toxic or deadly to animals and/or plants. Clarity's Natural Spa and Mineral Spa do not contain any "active ingredient" listed by the EPA, OSHA, or the NSF as toxic or instantly deadly to plants and/or animals. Therefore the Natural Spa and Mineral Spa can not be registered as a sanitizer, pesticide, algaecide, or biocide.